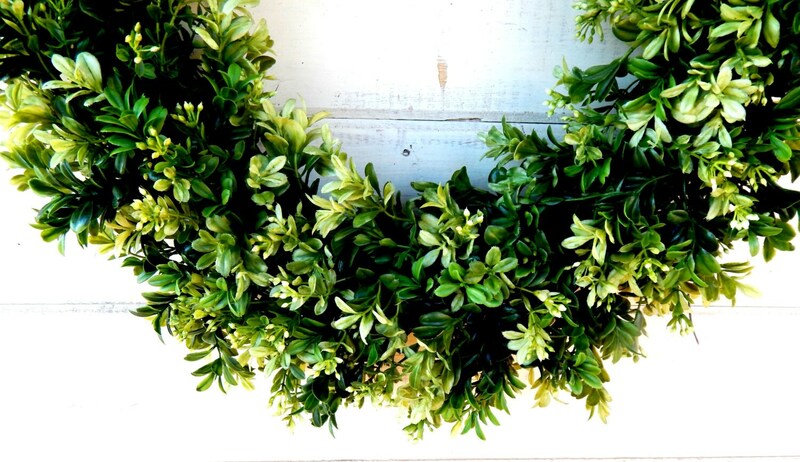 This Scented Artificial Boxwood Wreath can be used all year long!! 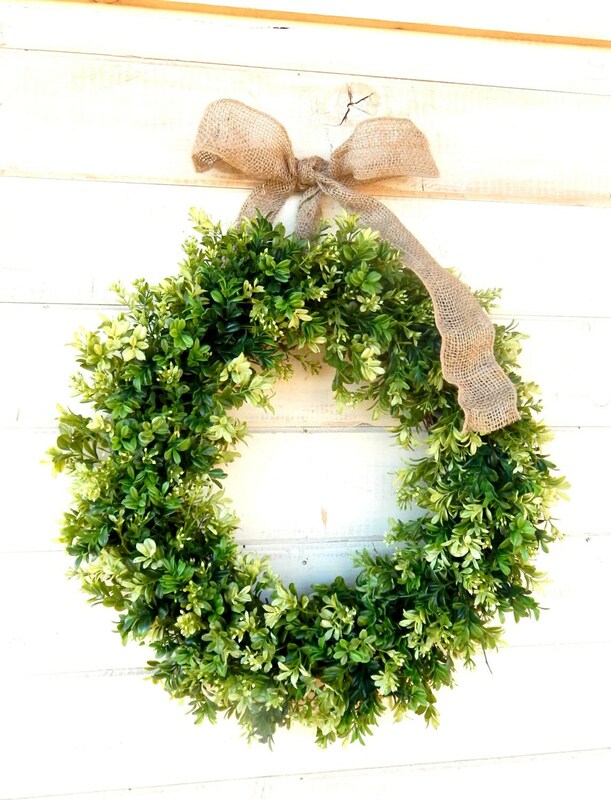 It is hanging from a Burlap/Jute Ribbon and packed full of ARTIFICIAL Boxwood Foliage. Skip the scent. Smaller than I expected but good quality. 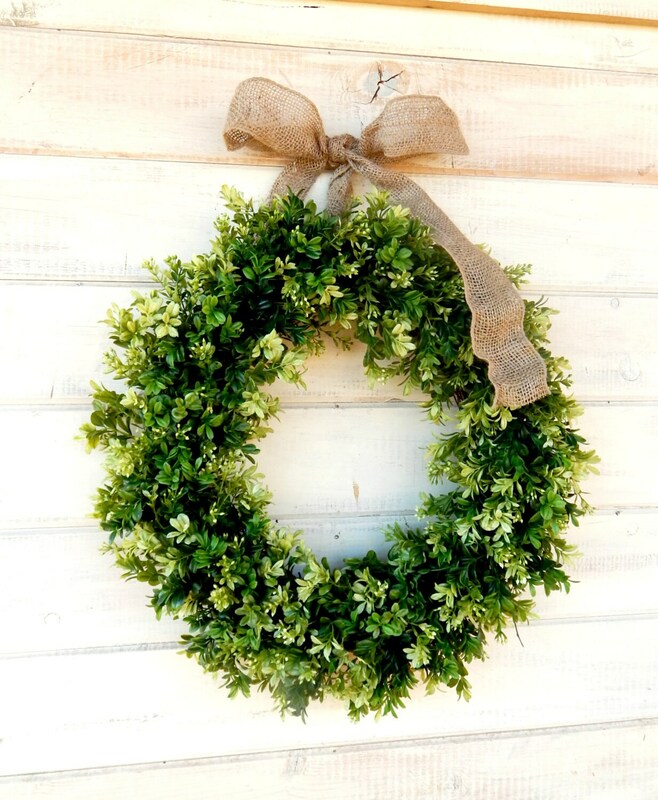 This is such a pretty wreath, thank you! It's the perfect finishing touch to my front door.